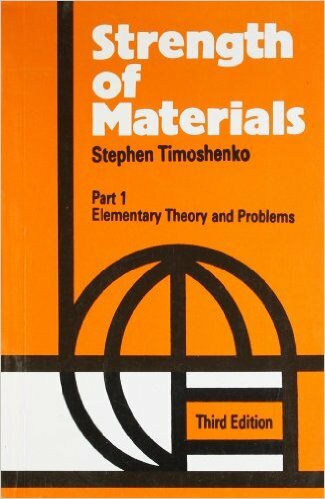 Strength of Materials by Timoshenko is a considerable, number of new problems were added and answers to many of the old problems inserted. Strength of Materials by Timoshenko was expanded by the addition of two new chapters, namely Chapter VIII which deals with bending of beams in a plane which is not a plane of symmetry and Chapter XII on the bending of curved bars. This book 'Strength of Materials' by Timoshenko Part I covers the basic elementary theory and problems which usually covers the required syllabus of Strength of materials in many Engineering schools. The advance level are for graduates, research engineers are incorporated in the Strength of Materials by Timoshenko Part II (Advanced Theory and problems). The basics and advanced theory are very clearly explained and easily understandable. Both the books supplement each other and consists all the required topics in Strength of Materials.